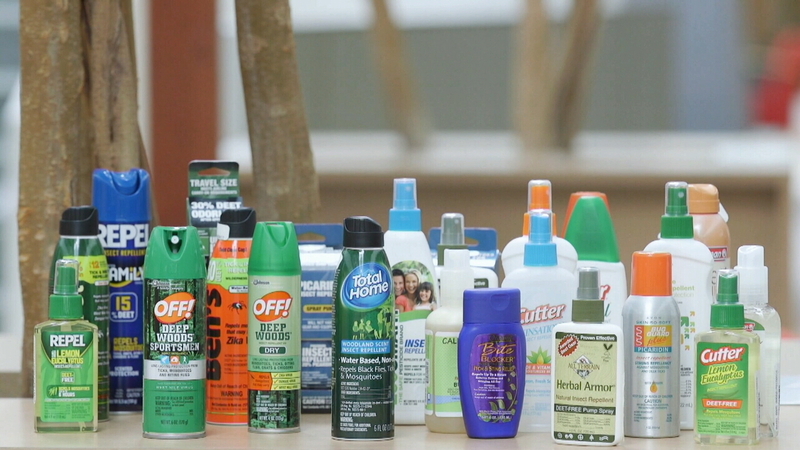 Bug repellant is a 3.2 billion dollar business in the US alone and projected to grow to five billion by 2020. Just like the annoying pests that the product is designed to give relief from, brands selling products in this category have a key season in which to grow. This small window of opportunity and competition means that brands must rely on advanced strategies to thrive and grow their market penetration. 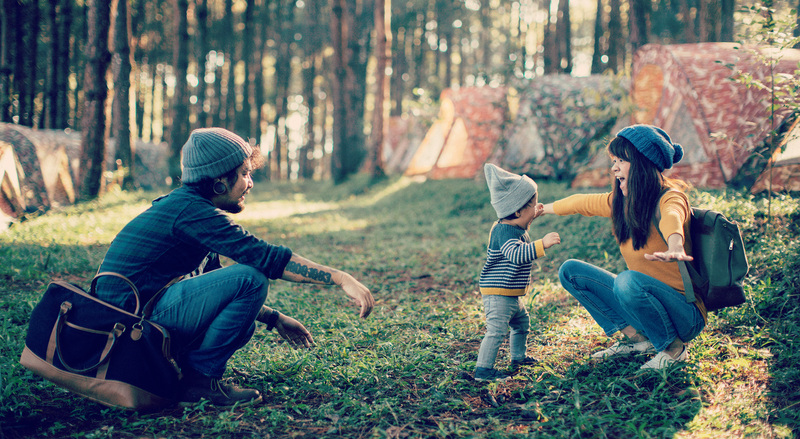 Buzz Away’s key to successfully growing during the spring and summer months was to drive awareness of their DEET-free product in parents of small children at the precise moments they were preparing for the next shopping trip, and then drive them to purchase when entering the store. With requirements to reach a precise audience at a precise time in a precise location, Quantum Health looked for industry leading solutions. For Buzz Away, or for any brand that has demanding goals, inMarket’s location-based advertising platform has become an essential tool to drive awareness, purchase intent and sales during short seasonal windows. Using inMarket’s full-service platform that reaches over 50 million unique comScore verified monthly active users, Quantum Health deployed a multifaceted online-to-offline ad solution that leveraged inMarket’s unique ability to reach shoppers throughout the entire purchase funnel. The program focused on cross-digital promotion at the awareness stage, and then drove product interaction and sales via trusted source recommendations during the decision stage, while the consumer was inside the store. 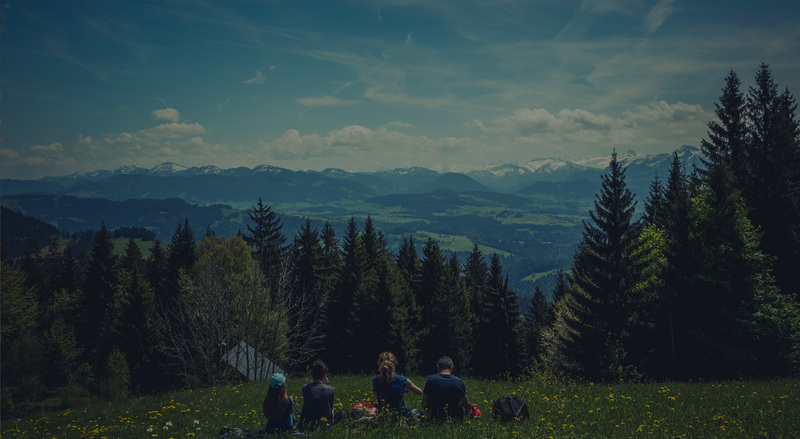 Leveraging inMarket’s Audiences program, Quantum Health was able to use inMarket’s best-in- class location data to target custom audience segments based on their real-world activity, accurately identifying active parents in pest prone regions who are most likely to need and use Buzz Away. 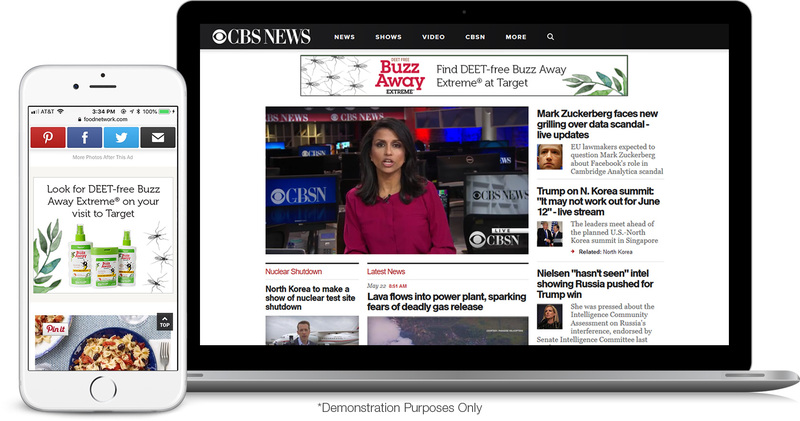 Creative was delivered to these targets on every device in their digital world. Then, through inMarket’s Preceptivity predictive cross-channel solution, Quantum Health gained the ability to predict when shoppers were “due” for their next store visit, deploying creative across mobile and desktop at the perfect moments when individual shoppers were most receptive. Preceptivity drives huge ROI because it eliminates wasted impressions that occur after a store visit when a shopper is unreceptive. 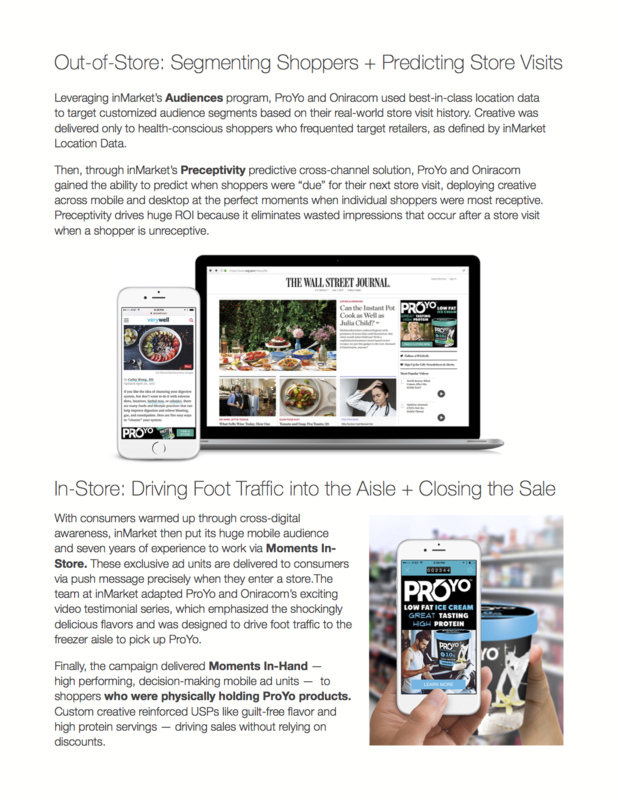 and customized creative used via other channels, and delivered native, full-page brand ‘Moments’ - from trusted app sources - to users as they entered targeted retail locations. 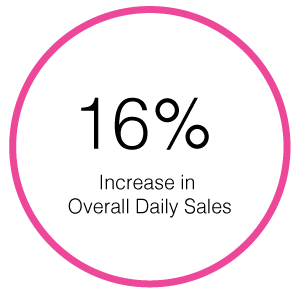 The best inMarket campaigns leverage all four of its location-based ad products in concert in order to target each stage of the customer acquisition funnel, resulting in huge sales lift. inMarket helped the Buzz Away campaign outperform all internal benchmarks, resulting in a resounding success. 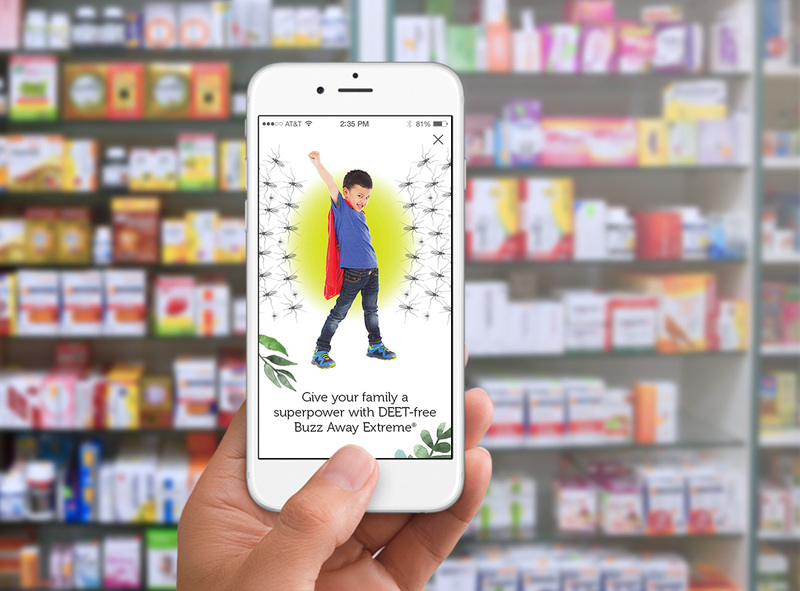 In a category down by 5%, Buzz Away’s supported products in aggregate achieved a 16% increase in average daily sales (average per $MM ACV, measured by IRi) in campaign stores versus control stores. Buzz Away’s Wipes SKU sales soared with a 32% increase in average dollar sales in the same stores. 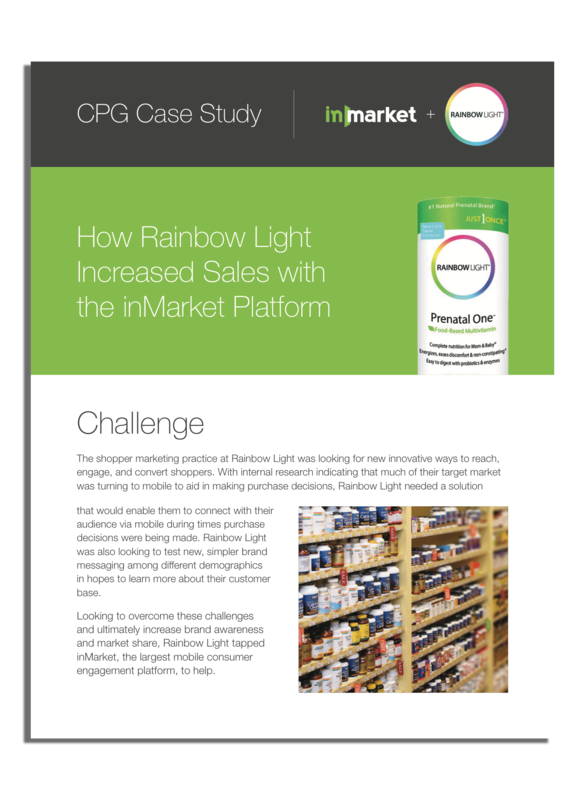 inMarket’s Buzz Away campaign proved successful in growing sales for featured products when overall sales in the category decreased, despite difficulties in shelf placement the brand had in the measured retailer during this time.